Breast cancer is a devastating diagnosis. It wreaks havoc on so many lives that almost every one of us has been touched by it in one way or another. Nearly two years ago, Smart Circle International, LLC and RGS Labs International, Inc. decided to team up to do something about it. Smart Circle is a proud distributor of FW1 automobile waterless car wash and wax products. In fact, Smart Circle is the exclusive distributor of the FW1 products through face-to-face marketing events, which are conducted through the Smart Circle Sales Network at local gas stations, car washes and other local businesses throughout the country. Starting in January 2013, Smart Circle and RGS Labs began working together to create the FW1 Pink Promotion. Since then the FW1 Pink Promotion has donated a cumulative $4,000,000 to The Breast Cancer Research Foundation®. BCRF is a nonprofit organization committed to achieving prevention and a cure for breast cancer. They provide critical funding for cancer research worldwide to fuel advances in tumor biology, genetics, prevention, treatment, metastasis and survivorship. Smart Circle and RGS Labs chose BCRF because of their commitment to advancing the world’s most promising research to eradicate breast cancer in our lifetime. Since their founding in 1993, BCRF has raised more than half a billion dollars for lifesaving research. By spending 91 cents of every dollar raised on research and public awareness programs, BCRF remains one of the nation’s most fiscally responsible nonprofits. 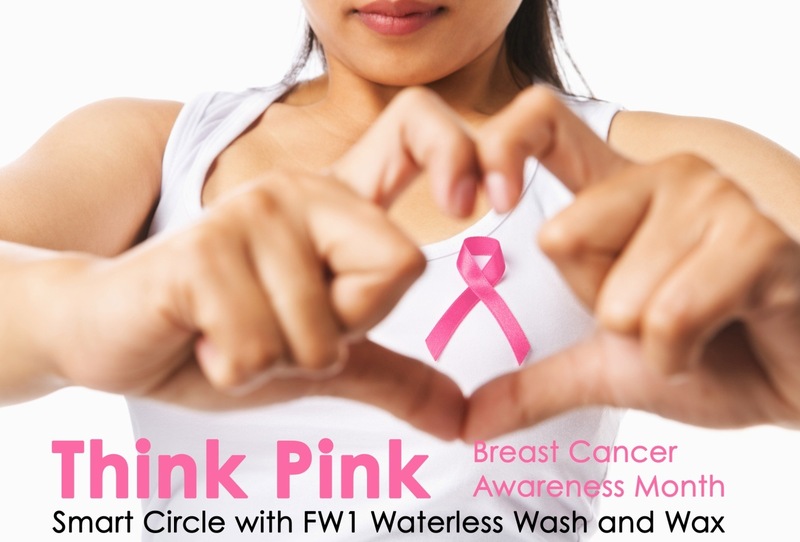 This October, in recognition of Breast Cancer Awareness Month, Smart Circle wanted to highlight this special FW1 product and the FW1 Pink Promotion encouraging everyone to “think pink”all year long.